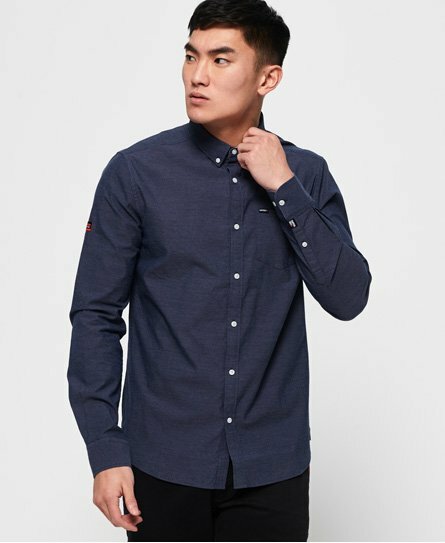 Superdry men's Premium University Oxford shirt. Clean, crisp and classic, our Premium University Oxford shirt is sure to help you make an impression. Featuring a button down fastening, button collar and chest pocket, this shirt will keep you looking sharp whatever the occasion. The shirt also features button cuffs and subtle logo tab on the pocket. Completed with a logo badge on one sleeve and logo detailing in the split side seam, this shirt will work well with chinos for the office or with a pair of slim jeans for dinner.